Diagnosis AIDS: 30 years ago, it was a death sentence. Today, many people infected with the virus in Germany lead normal lives thanks to medical progress. Social acceptance, however, is still a problem. “I plan ahead for the next two to three years,” Manny said. “That’s realistic – prospects are different from what they used to be. Diagnose HIV: Vor 30 Jahren war das ein Todesurteil – wer sich angesteckt hatte, bekam Aids. Heute führen viele Infizierte in Deutschland ein normales Leben. Die Gesellschaft tut sich mit der Krankheit aber noch schwer. 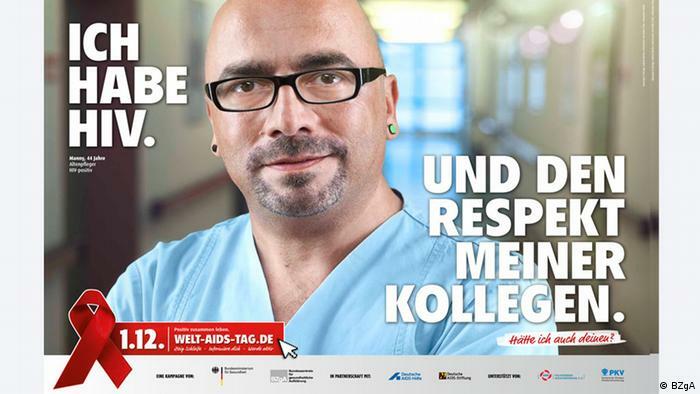 This entry was posted in English, German and tagged Germans with HIV, Leben mit HIV by kiumars. Bookmark the permalink.